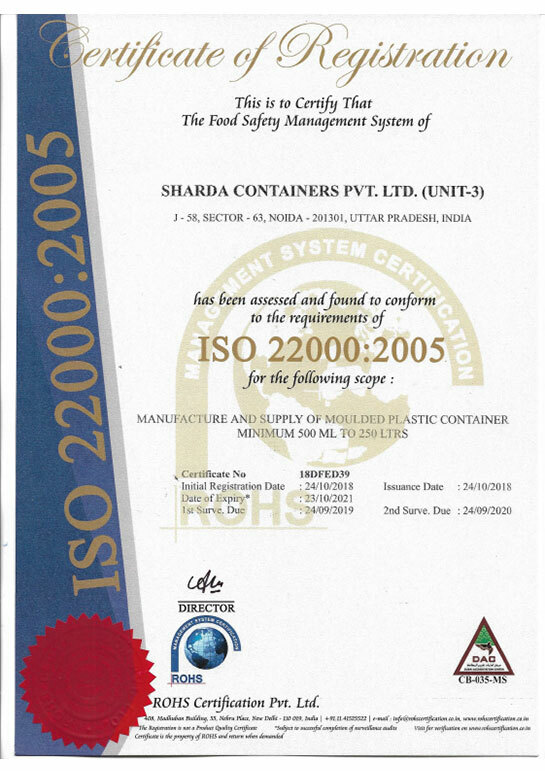 From a humble beginning in 1971 SHARDA, Today is one of the leading developer and manufacturer of plastic packaging industry. High quality standards, extensive technological known how and distinctive innovative ability, help us to meet the request of our customers in respect of functionality, optimized handling and profitability. 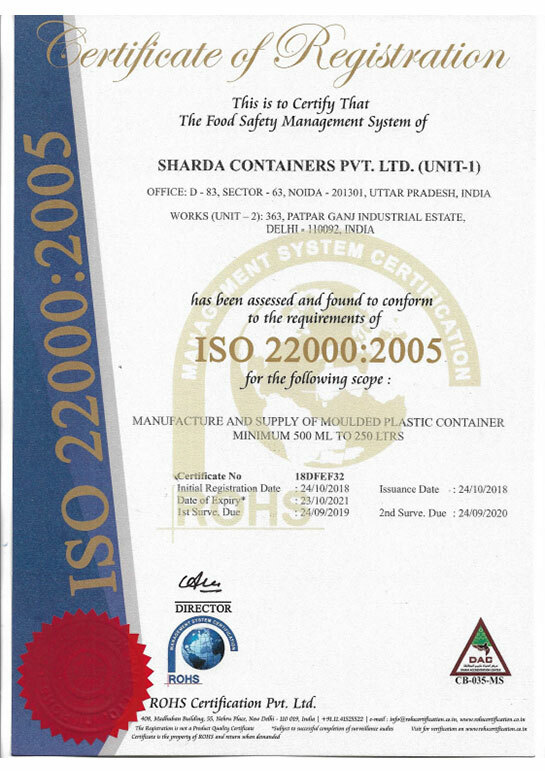 Our company operates an Integrated Management System that embraces Quality Management and Health and Safety Management. Our quality policy is: “To provide continuous Innovative packaging solution that meet the requirements of each customer”. We use only prime virgin and food grade raw material from reputed manufacturer like HALDIA Petrochemicals Ltd, ONGC Petro Ltd, GAIL INDIA Ltd and QATAR Petro Chemicals Ltd. and US.FDA Master Batches from AMPACET Ltd (U.S). We use HXM,HM- HDPE, PP, CP and LLDP to manufacture the high-end quality range of containers. 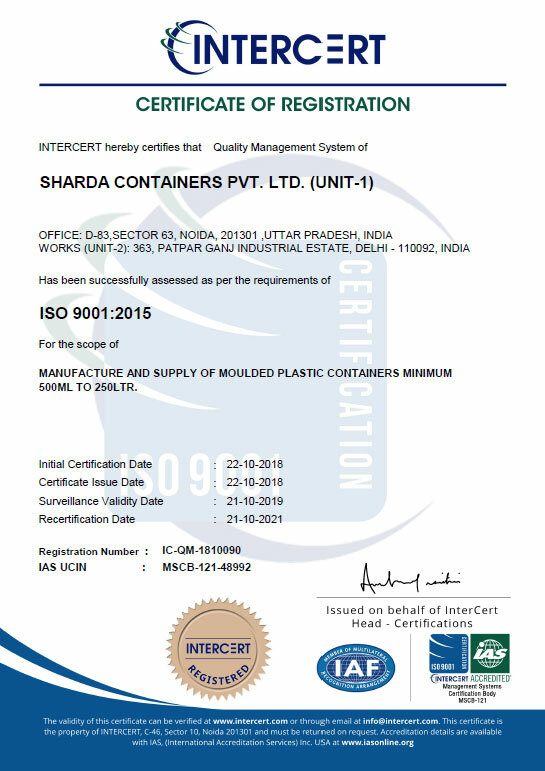 Strict quality control is maintained during manufacturing including batch and lot traceability of raw material. Management and Employees are fully committed to this Quality Policy.